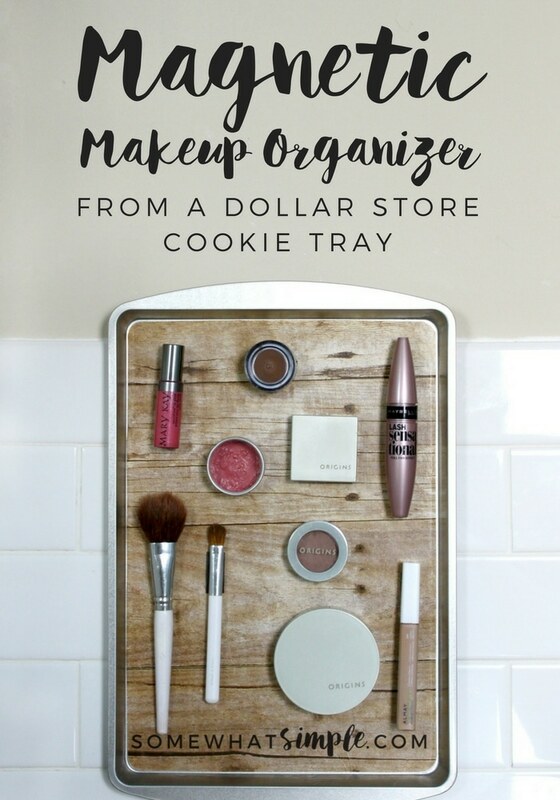 Using a simple dollar store cookie tray, make this DIY magnetic makeup organizer to keep all of your beauty essentials organized. 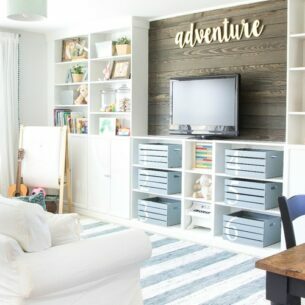 This project started out like so many others, with inspiration from my very active 4-year-old twins. They love playing with anything that belongs to mommy, and my makeup is no exception. I devised my plan for this magnetic makeup organizer as a response to their curiousness with my makeup drawer. 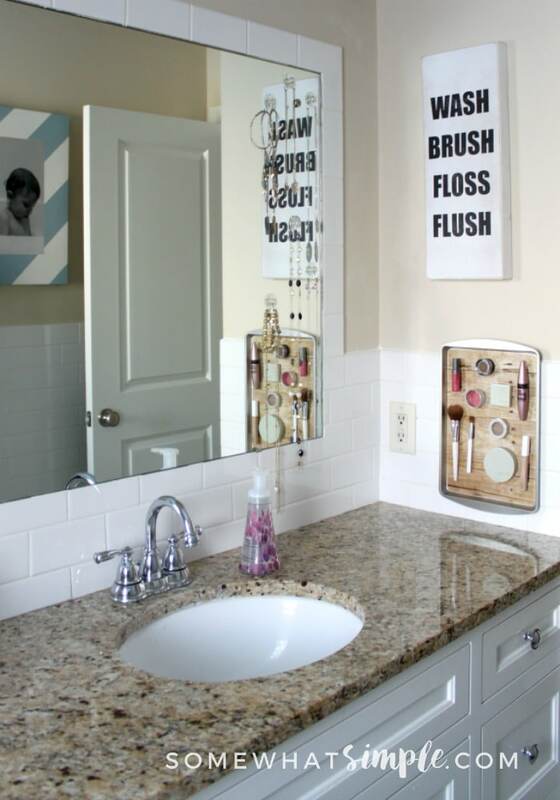 Plus, having my makeup handy on the bathroom wall makes getting ready in the morning that much faster! Trim your craft paper to the dimensions of the cookie tray, and round the corners. I chose this wood grain paper for my project. 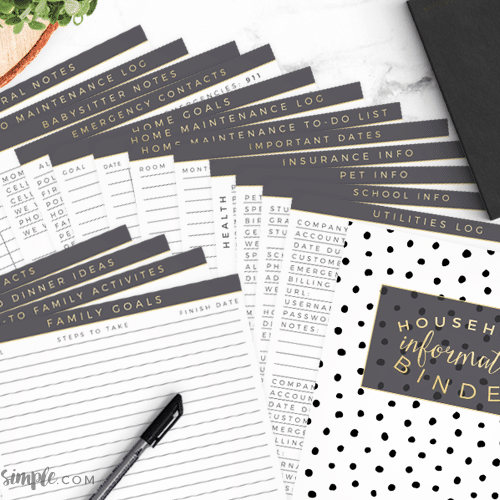 Feel free to use any type of decorative paper, wrapping paper, or even fabric you like! Using the paintbrush, apply a thin layer of Mod Podge to the cookie tray, then smooth the decorative paper over the thin layer of Mod Podge. Apply another thin layer of Mod Podge, and smooth out any bubbles. 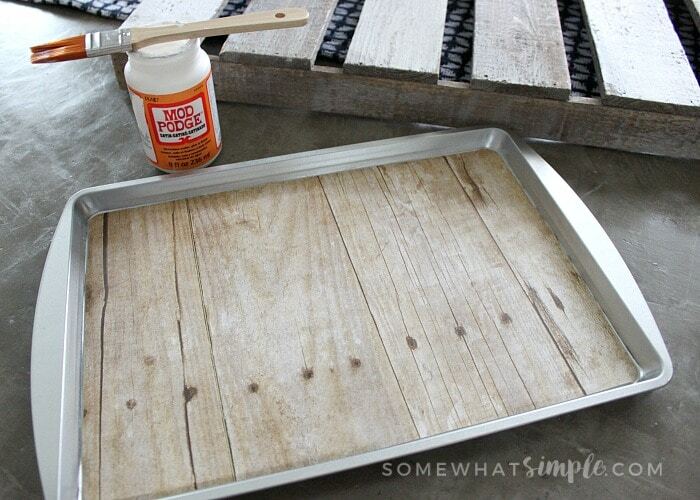 Allow the Mod Podge to dry completely. 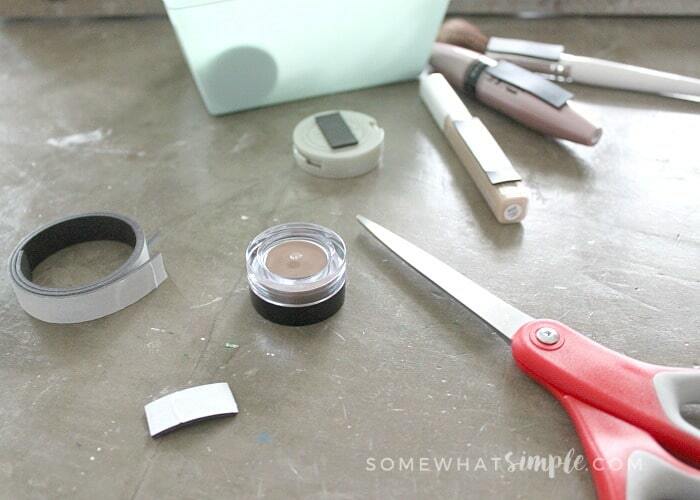 Cut pieces of magnetic tape to apply to your makeup and brushes. I found that the adhesive on the magnetic tape wasn’t quite strong enough, so I reinforced it with hot glue. 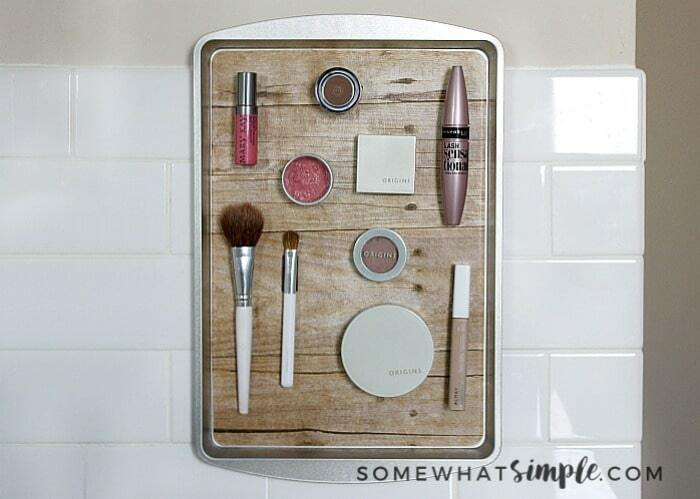 I mounted my new magnetic makeup organizer to the bathroom wall using Command Velcro strips, so there was no damage to our subway tile. And yes… That is pretty much all of my makeup! 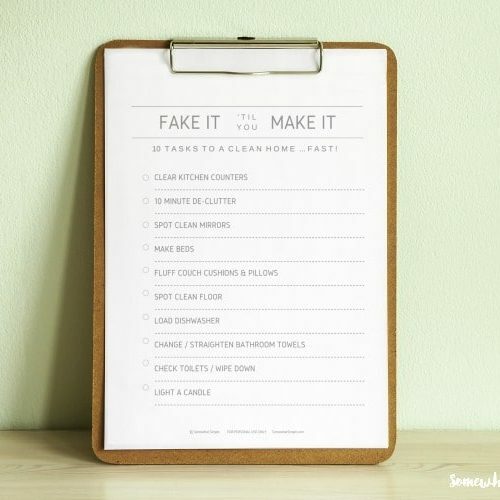 I have worked really hard over the years to simplify and streamline my morning get-ready routine, makeup included. I love having my makeup essentials handy, and I think it helps me get ready even faster! Who couldn’t stand to save a little bit of time in the morning? !